Fortnite is massively popular, such that it’s bringing in hundreds of millions of dollars on a monthly basis. But how exactly does that break down across individual players? According to a new survey polling 1,000 regular Fortnite players, roughly 69% have spent money on the game. Before you come in with the the “nices,” that number is more precisely 68.8% – and it’s quite an impressive stat, either way. The thousand survey respondents identify Fortnite as the “main video game they play” though 72.7% still play other games. 36.78% say Fortnite is the first game they’ve spent money on. Test your skills against the most dangerous opponents with the best multiplayer games on PC. The average amount spent is $84.67, though that average drops to $58.25 if non-spenders are included in the calculation. 59% of that average goes to outfits and characters, 18% to gliders, 14% on harvesting tools, and 10% on emotes. 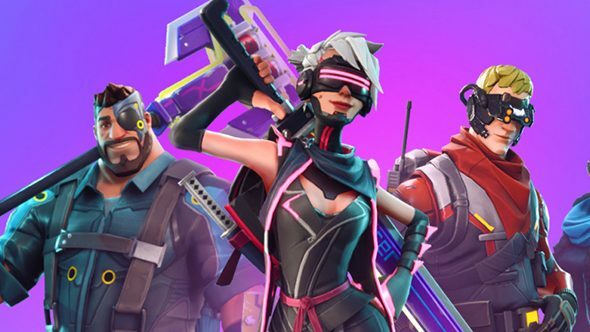 How those percentages are affected by Battle Passes is unclear, but 80% of spenders have bought a $10 Battle Pass and 46% have bought a $25 Battle Pass. Perhaps the strangest stat in the LendEDU survey is that nearly 20% of spenders don’t realize that these items are cosmetic only, with no gameplay advantages against other players. Maybe they think being John Wick gives them a psychological advantage, who knows. If the average regular player is shelling out nearly $60 on Fortnite, it’s easy to see how the free-to-play structure has benefited the game. That’s as much as you’d spend on a standard release, and Fortnite’s lack of entry fee allows for a massive playerbase to get invested through in-game purchases. Little wonder that Fortnite’s total revenue has exceeded $300 million monthly. The Fortnite update train keeps rolling with dual pistols here and the Playground LTM ready for action – eventually.